(TibetanReview.net, Sep17, 2014) – Just a week before Chinese President Mr Xi Jinping was to arrive in India for a perceived landmark visit, Chinese troops have carried out yet another territorial foray into the Ladakh region of Jammu and Kashmir state, bringing into focus an issue on which no progress is expected during the visit. More than 200 soldiers of the Chinese People’s Liberation Army crossed into what India considers its territory and used cranes, bulldozers and a Hummer vehicle to build a 1.2-mile road within it, reported the Hindustan Times newspaper Sep 16. It added that Indian soldiers challenged the Chinese troops and asked them to withdraw. Then, on the night of Sep 10, Indian soldiers demolished a temporary track built by the Chinese forces. “We are confident that our borders are in safe hands,” Reuters Sep16 further quoted Akbaruddin as saying. 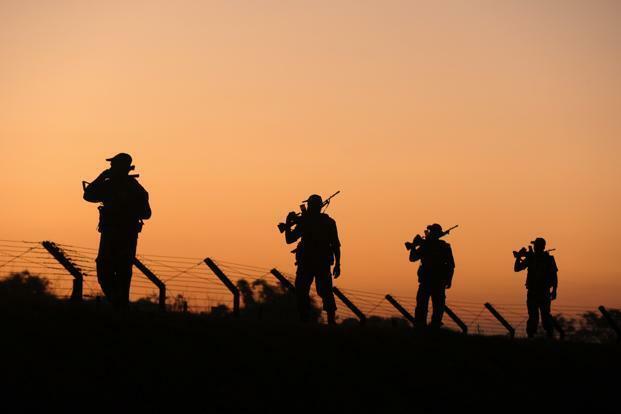 The report noted that India, while downplaying the significance of the surge in Chinese border incursions, had reported a jump in such border violations in the past two years. The country’s military experts are said to see these as a sign of greater Chinese assertiveness on the frontier. The report noted that the Indian government told parliament in Aug 2014 that the number of Chinese border infringements had reached 334 by that month. The corresponding figures were reported to be 411 in 2013, 426 in 2012, 213 in 2011, and 228 in 2010. China has always denied having intruded into Indian territory. Indian government leaders have said the incursions take place due to differences in perceptions between the two sides on their perceived line of actual control.